Why is it relevantly important? Well, one can define Digital Transformation as a revolutionary transformation of business or other organizational activities, processes, competencies, models etc to enable the organizations to utilize and exploit the digital technologies in better ways. Digital Transformation basically improves and perk ups business processes and outcomes. While infrastructure and technology may clearly be the most important considerations, digital transformation is much about the worker and changing the way they approach their business problems and where will they look to find solutions. In fact it is the Backbone of Digital Transformation Initiatives. According to certain research and trade analyst, many organizations forget the fact that no digital transformation project is going to succeed if they forget to consider the necessary cultural shift needed to change the mindset of workers. Vision - A digital vision that will inspire and also motivate its work force needs to be outlined by business leaders. Everyone should emphasize on what their enterprise is actually trying to achieve. Metrics/ Parameters - Business leaders need to create a set of metrics or parameters that they can use to measure the progress and monitor how the mindsets are changing. Right Implementation - Human resources need to monitor the performance and measure how workers are responding to the newly implemented digital changes. Tolerance - Business leaders should know that they can’t expect immediate results. Change takes time. 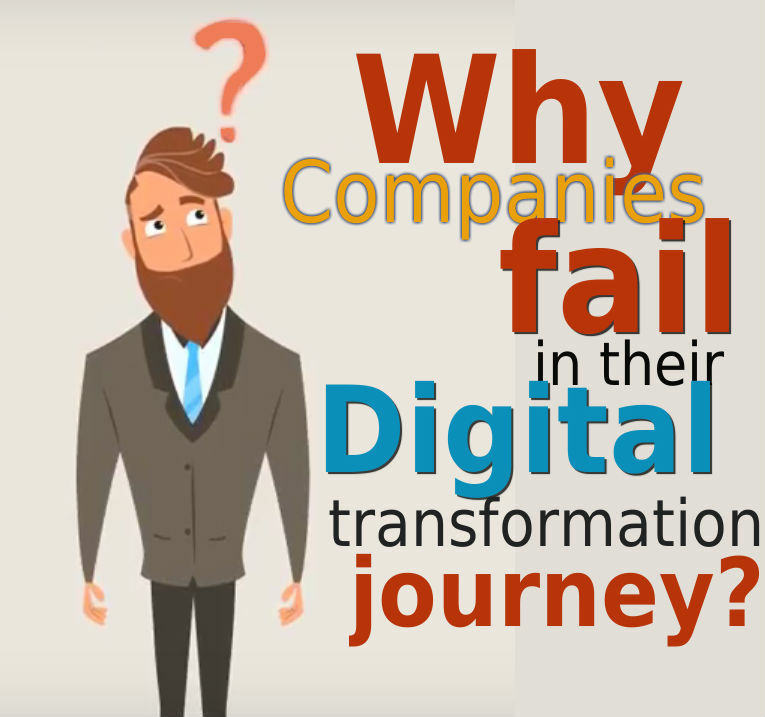 Digital transformations approach without corresponding cultural changes is destined to fail. Organizations spend millions of rupees every year on the latest tools and technology, but 60 percent of recent data breaches were the result of human blunders. Promote a leadership team with vision. Communicate a leadership agenda for change. Encourage a fair digital culture. Inspire revolutionary teams that embrace change. Digital transformation initiatives come up against another challenge: enterprises trying to carry it out using the same tools and strategies they used in the past. Innovation is in the eye of the beholder, he added, describing the cultural shift necessary as follows: imaginative solutions to as-yet-unimagined challenges creative connections, experiences and business opportunities that mesh the real world, current and future products and our digital existence; and innovation that advances society, business and technology. Some employees aren't well versed in the usage of latest technology as much as they could be to truly make the company have a fine digital mindset. Thus it is up to management to convey a new vision and mindset so that employees can become a valuable part of the new company brand story. Moreover, it’s also arguable to consider that while companies are going through a "digital transformation" what they really need to go for is a "marketing transformation." A new gap will emerge if marketing mindsets are not up to speed with where their new technologies. Has the company put the ultimate customer at the centre of their marketing yet? Is the company messaging and mailing to customers on how big they are? Has the company changed their messaging style and how it communicates to customers? Has the company build up content strategies that meet the desires of its core customer personas? Customers now take the lead in Digital transformation decisions. If our employee marketing mindsets are staying the same while we are aiming a business led by latest powerful technologies, the digital business transformation we are all anticipating for will not truly happen.